Posted on Friday, July 11th, 2014 at 5:52 am. 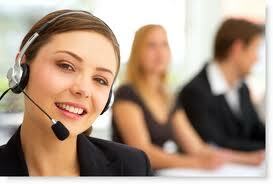 Answering the telephone in a professional manner is important in order to make a good impression for your company. Often times, we answer the telephone without any concern on how we answer, how we sound like or how we treat the person on the other line. If you are determined to make a good impression on everyone who calls your office, you should definitely consider joining the PD Training Professional Phone Skills course in Kuala Lumpur, Malaysia. Nowadays, anything that a company or an organisation does reflects its ability and willingness to assist clients. This is no different with telephone calls. By having good telephone etiquette, you will be able to gain the client’s trust and confidence almost immediately. But beyond gaining their confidence, you will also be able to handle calls better. This training course has become a necessity especially in today’s business landscape where there are various virtual teams at play in certain organisations because technology has made the world a much smaller place. Learning to answer a call has never been as important as it is today. So, what is it that this training course is aiming for? Well, it focuses on developing telephone etiquette and skills to deal with customers assertively, empathetically, with a sense of care and a positive attitude. Let’s break down what you’re getting from this training course. Learn the skills and attributes of an effective communicator as well as the ten commandments of good business. Here, you will be able to gain the necessary tools required to have a solid client service foundation. You will also be taught how to deal with angry clients and how to end calls properly. How you sound is just as important as what you say. Sometimes, people may pick up negative vibes just by how you sound. Learning proper tone could go a long way. Trust is something very hard to acquire but very easy to lose. Often times without realising, we have already lost the client’s trust on the first call. This is why we need to know how to put them at ease with just our voice. It is now easy for businesses to have international clients because technology has advanced so much that communication worldwide is now very easy. That being said, there will be cultural barriers along the way as the business gains more and more international clients. Learn the words or phrases that you should avoid depending on what nationality you’re talking to. Being prepared in anything is always a good trait. Same with calling – there are things you need to prepare for before engaging incoming calls. Know what to say when you’re putting the client on hold or when transferring a client’s call. There are also correct ways of questioning a client during a call. Remember, if you’re not sensitive enough, you may actually insult the client. At PD Training in Kuala Lumpur, you will learn about the proper questioning techniques that will give you total control of the call. It will also help you to avoid talking on the phone longer than necessary because it might make the client lose interest altogether. There are so many things we need to learn about answering the telephone that it seems extensive for something as simple as saying hello. Even the way we say hello can make or break it for us. This is why we need to polish up on our phone etiquette, because it might be too late to get a client back once we’ve lost him. Pd Training delivers thousands of professional development courses each year in Kuala Lumpur, so you can be assured your training will be delivered by a qualified and experienced trainer. All public Professional Phone Skills courses include am/pm tea, lunch, printed courseware and a certificate of completion. Customised courses are available upon request so please contact pdtraining at enquiries@pdtraining.com.my to learn more.